one quick question - Is it possible to have a shadow under Suzanne? I'm using Indirect Lightning with Approximate Gather, Spot Lamp with Ray Shadow and all is with Diffuse White Material. place a dummy object A where you want the shadow and in the material settings for the material applied to A set it to cast only shadows. What settings do you have checked? Try disabling all but Ambient Occlusion and see if that gives you the desired result. Also, try Raytracing Gather instead of Approximate, it should be more accurate, though currently there is no Indirect Lighting from Raytrace mode. 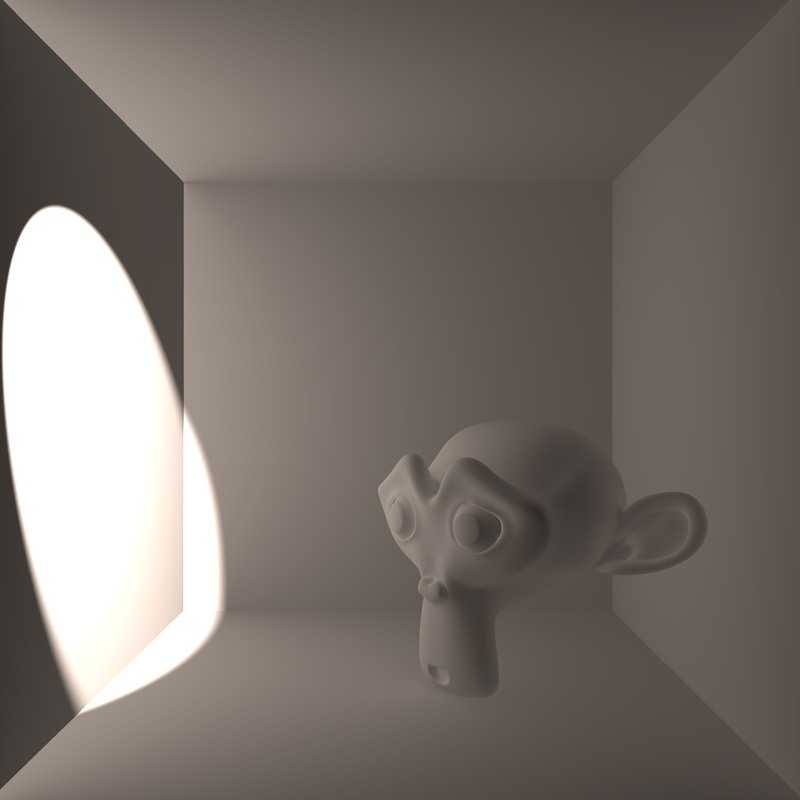 With Approximate mode, I believe you can only do either ambient occlusion OR Indirect Lighting at the moment... It must have worked in the past, but there is an obvious logic error in the code in the current version. I will be looking into that shortly for my own use and submit a bug fix if all goes well.